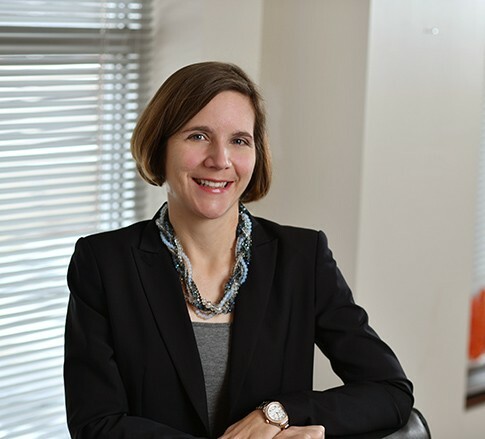 Wendy G. Adkins is a Member in the Education industry group, focusing primarily on employment, commercial litigation, education, and real estate. She practices out of the Firm’s office in Morgantown, West Virginia. Wendy is passionate about her legal practice, her clients, and anything involving West Virginia University – both her undergraduate and law degrees are from WVU. Wendy’s wide-ranging employment litigation practice has allowed her to gain experience in many aspects of the law. In fact, she is more than a lawyer – she is a consultant, an advisor, and a fierce advocate. Wendy also takes a hands-on approach to drafting her clients’ legal arguments, ensuring she knows her clients’ factual and legal arguments inside and out. With an undergraduate degree in journalism, brief writing is a happy task for Wendy. She will work all the pieces of the legal puzzle until they come together seamlessly. Wendy does not shy away from a challenge. She was the first person in her family to graduate from a four-year college and is the first and only lawyer in her family. That may be why Wendy most enjoys guiding her clients through their thorniest legal issues. She always has her clients’ best interests in mind and understands the toughest part of her job is providing the best legal advice, even when that guidance is not necessarily what the client hopes to hear. This is not always easy, but it allows her to guide her clients to the best outcomes. Wendy is the whole package and the type of attorney all clients want in their corner.